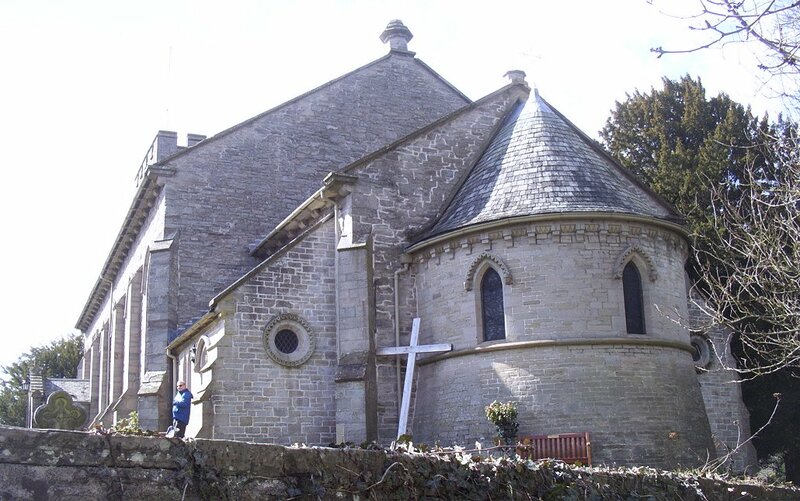 Two BOA members recently visited this church in Hay-on-Wye to help during a recording (for BBC Radio Wales) of two services. One of the highlights of the visit was the opportunity to hear and play the 1883 Bevington organ, recently installed here by Trevor Tipple, after previously being in private residences and an Anglican church. The organ began life as a 2-manual in the Cambridgeshire residence of Carbery Evans, Esq, at Hatley Park. It was moved to Olton Hall in 1899 by Halmshaw, and in 1912 was moved again to Puddleston Court near Leominster by Hill, when a Choir division was added. By 1934, it had moved yet again (Ingram & Co) to St Bartholomew's Holmer, where it was overhauled in 1962 by Henry Willis. 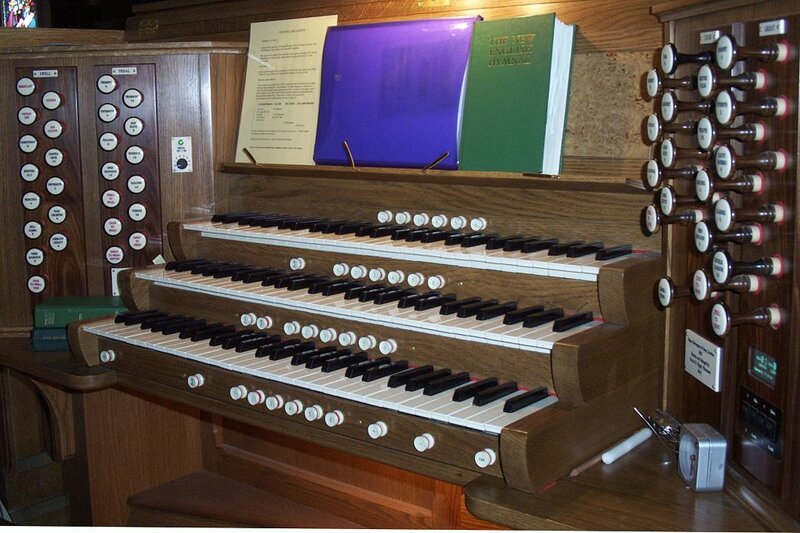 The organ's latest move to Hay-on-Wye also involved electrifcation of the action, provision of a new detatched console, and the addition of new pipework with some revoicing of existing ranks. 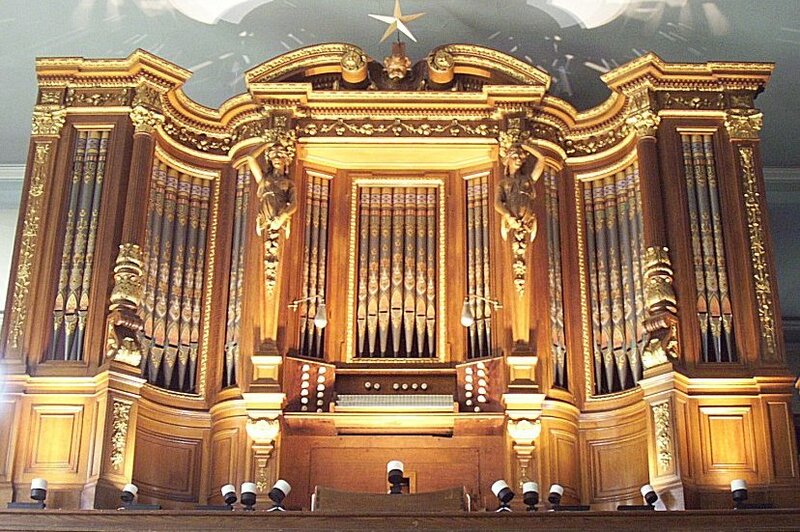 The original console has been retained as part of the casework (see central photo), but the organ is no longer playable from it. In 2011, some electronic tone generation was added that, rather unusually, is controlled by a rotary knob at the console, with various combinations of digital "ranks" being selectable, controlled by four drawstops. These digital voices include a 32ft pedal reed and a Tuba. Former BOA member Aled Liddington was appointed organist here from 2012.